Justseeds | Pittsburgh: Help Raise Money for the Western PA Fund for Choice! Pittsburgh: Help Raise Money for the Western PA Fund for Choice! Maybe you’ve had your eye on something in our online shop for awhile and wanted to pick it up in person? Maybe you just want to see what the office looks like? What if you could grab some new art from Justseeds AND help fund a reproductive justice organization that serves the Pittsburgh region (and NE Ohio, and most of West Virginia)? 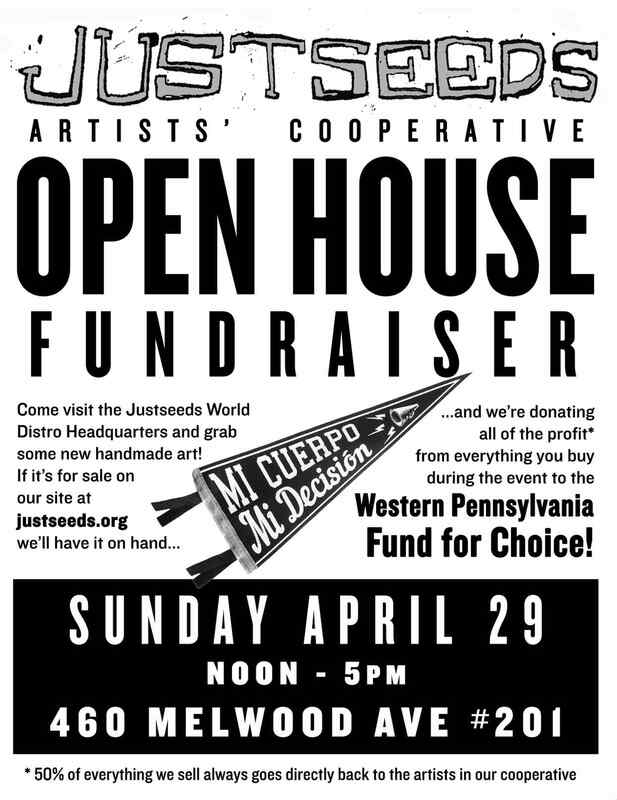 We’re opening the doors of Justseeds World Distro HQ on Sunday April 29! All the profits from everything we sell that day is going straight to support the Justseeds fundraising team’s efforts to raise money for the regionally critical Western Pennsylvania Fund for Choice! Here’s a Facebook event for those who like that kind of thing. See you there! Can’t make it to the event but want to help WPFfC? Donate to the Justseeds fundraising team right here!